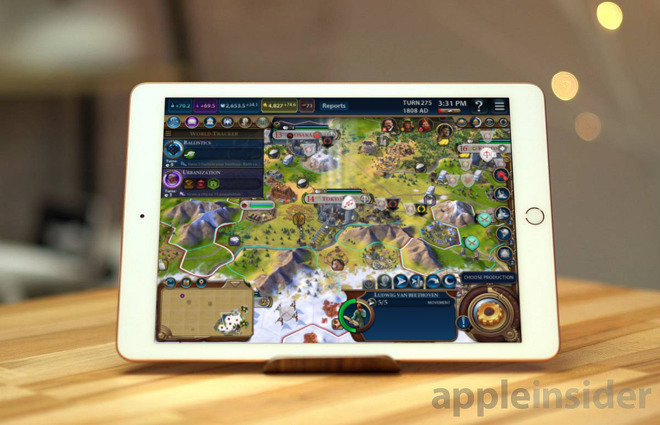 Apple’s March 25 “its show time” event is expected to be largely focused on Services, with a new report claiming that the company may debut a subscription service for paid iPhone and iPad games during the presentation as well. While the vast majority of the report reiterates what has already been gleaned about Apple’s subscription and news services, it delves a bit more into Apple’s rumored games as a service plan. According to the report, Apple isn’t looking at building a off-device rendering service like the defunct OnLive, or Google’s new Stadia service, it is looking at a paid bundle including titles from different developers, that are all accessible for a single monthly fee. According to Bloomberg‘s report from Saturday morning, revenue would be divided up amongst the paid titles in the service according to how long a user played the game. Not expected to be included are titles that are free to play, and rely on in-app purchases for revenue. Mark Gurman at Bloomberg doesn’t pin down a release date. Rather, he suggests that it could be released either at Monday’s “Its show time” event, or later in the year, at Apple’s World Wide Developer’s Conference in June.